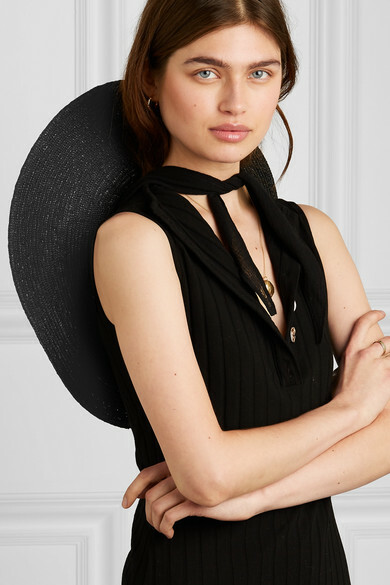 CLYDE'S Dani Griffiths worked as a buyer in one of New York's famous vintage stores before launching her own millinery label, so her hats often call back to retro styles that are hard to find unless you know exactly where to look. 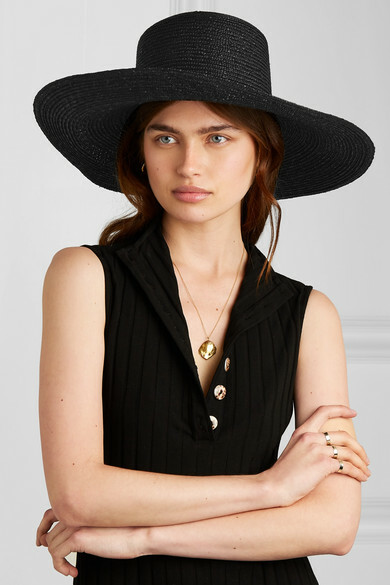 This black straw sunhat has a wide, exaggerated brim. 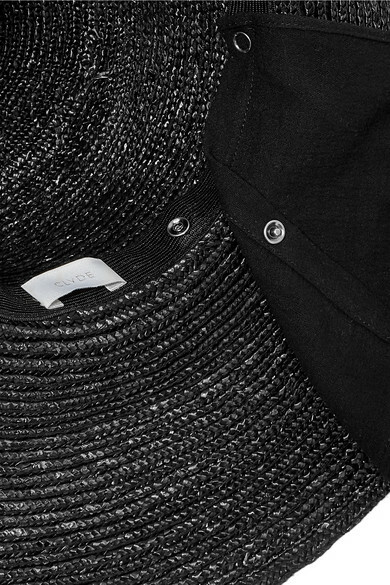 It's trimmed with detachable cotton-gauze which can be tied under your chin or left loose. Shown here with: Albus Lumen Dress, Loren Stewart Rings, Sophie Buhai Earrings, Isabel Marant Earrings, Alighieri Necklace.